« Five Not Guilty, Two Left Waiting . . . This entry was posted on July 3, 2010 at 3:33 pm	and is filed under EDO. You can follow any responses to this entry through the RSS 2.0 feed. You can leave a response, or trackback from your own site. It’s interesting to see the Israeli media response to the verdict – it is clear that they just cannot accept any criticism no matter how despicable the acts committed by Israeli forces. 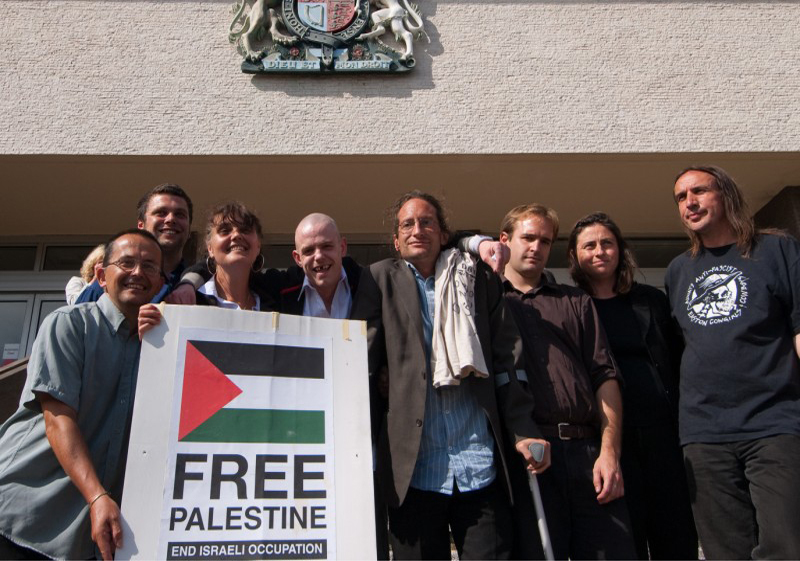 They even attacked the jury, the headline in Jerusalem Post calls them “hate filled” – this the jury of ordinary men and women who heard the evidence and made a reasoned assessment based on that evidence. Israel keeps referring to the judge’s statement “You may well think that hell on earth would not be an understatement of what the Gazans suffered in that time”, as if it is somehow proof of bias – yet no reasonable person would deny that this is a perfectly adequate description of what the whole population of Gaza went through under bombardment. The president of British Jewry’s representative body, the Board of Deputies weighs in with “The rule of law itself is now under threat in Britain, and judges and juries are applauding as it goes,” – he said the Board had not taken a position on the tactical rights and wrongs of the flotilla interception, or on the underlying issues, noting that “We’re there for Israel.” So there you go – we support Israel no matter what. With this closed minded mentality will they ever understand why they are becoming pariahs to the rest of the world?